The Himalaya, Round-Up and Tilt-a-Whirl we’re all newcomers to the fair this year. The first two are “new for 2008” according to Blue Sky. The Himalaya was a mini-Musik Express looking ride made by Wisdom. I can’t actually say it was the ‘big’ ride at the fair however since it was pretty small; it was about half the size of a real Musik Express and ran at a moderate speed. The Round-Up was in great condition with all the lights and ornaments intact. 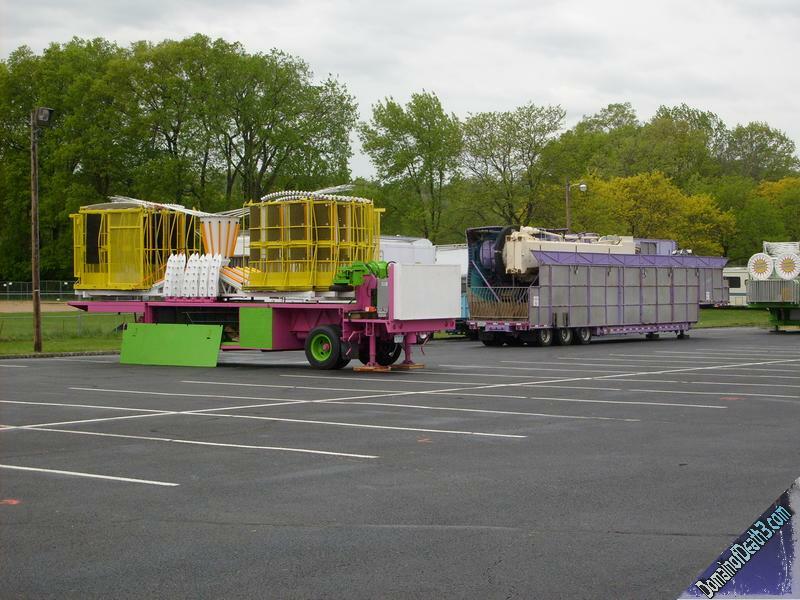 It contrasted heavily to the dismal Round-Up at the Feast of St. Anthony Carnival a couple weeks later. 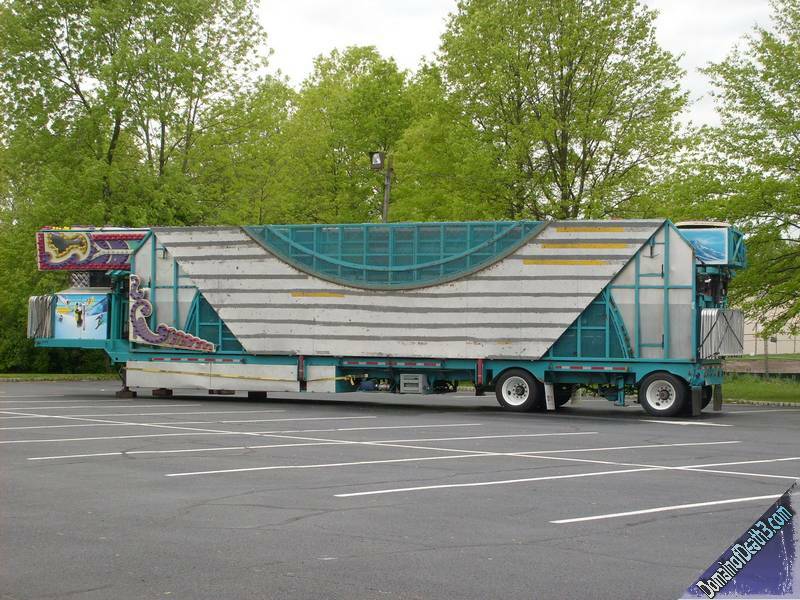 The Tilt-a-Whirl was a Tilt-a-Whirl; nothing more, nothing less. 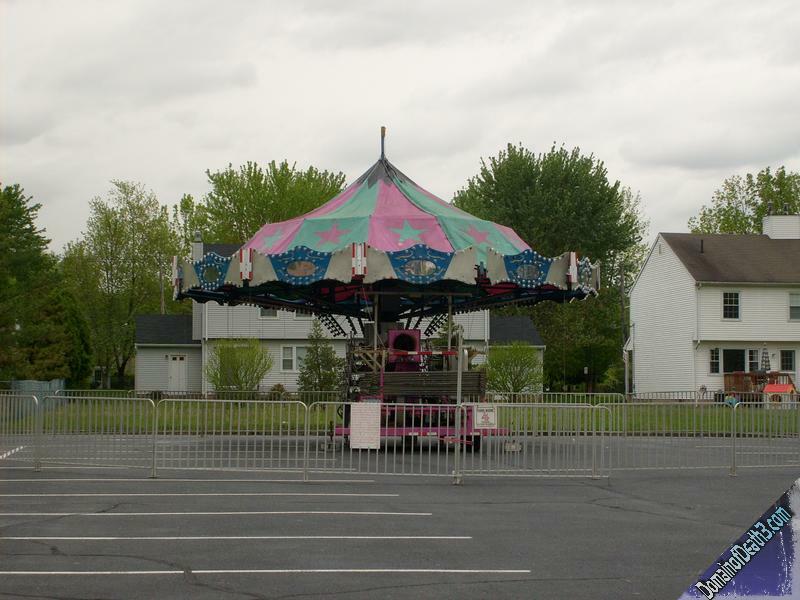 The Riptide, an ARM Ali Baba, grazed the midway once again. 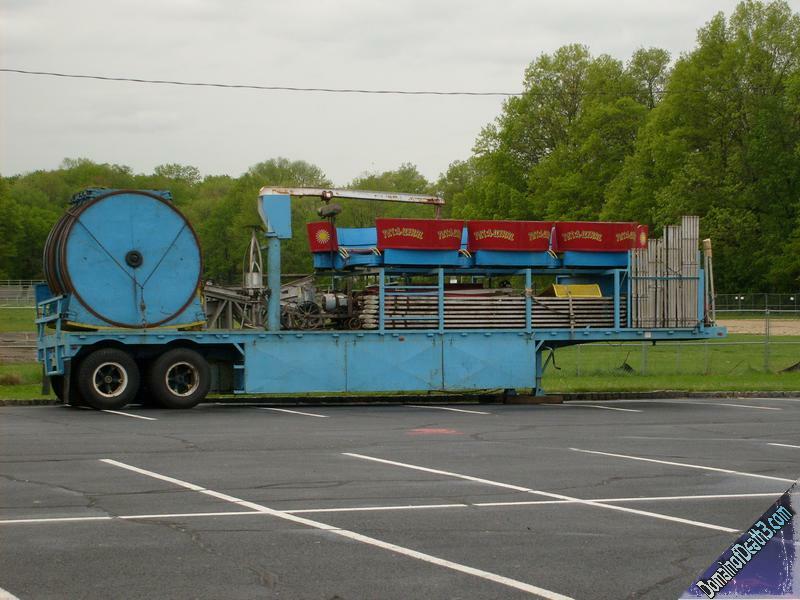 This was undoubtedly the best addition to the fair in recent years. 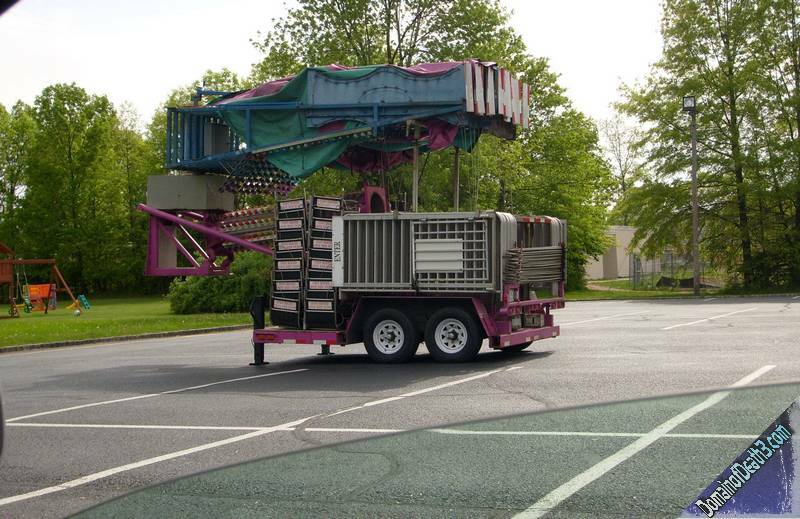 It’s tall and thrilling, just what a small fair needs to attract attention. Right next to it was the Big Wheel, another eye catching ride with its decent light package. Scooters were also back again, with all its too small with too many cars goodness. I may as well talk about the other things featured at the fair, such as the ‘new’ items table. In the fair’s past, the church featured a ‘white elephant sale’ in the school’s lunchroom; it was awesome, absolutely awesome. It was basically all used stuff for sale at insanely low prices. I remember they used to have things like old used computers, record players, Hungry Hungry Hippos games, and basically any junk you can get your hands on. On the last day you could pay one price, get a grocery bag, and load up all the junk you can fit into it. No words can describe the feeling of being able to swipe any amount of stuff off of the table and into a bag for like 5 bucks; it was like they were charging to steal stuff! Unfortunately they stopped the white elephant sale. A kid I knew at the time insisted that it was because hackers would come in and buy up the old computers but I’m not so sure about that now. The white elephant was replaced by the ‘new items table’ which is just that: new items. While some are indeed new items, some are actually stuff that people got for Christmas or whatever, didn’t want, and donated to the sale. So they’re kind of second hand new gifts. I saw a Simon 2 for sale, but they were asking 20 bucks or so for it (which is actually pretty darn good.) But after being spoiled by the white elephant sale in past years, how can I knowingly buy that? At the white elephant, I probably could have gotten the original Simon (the cool one) for like 3 bucks!